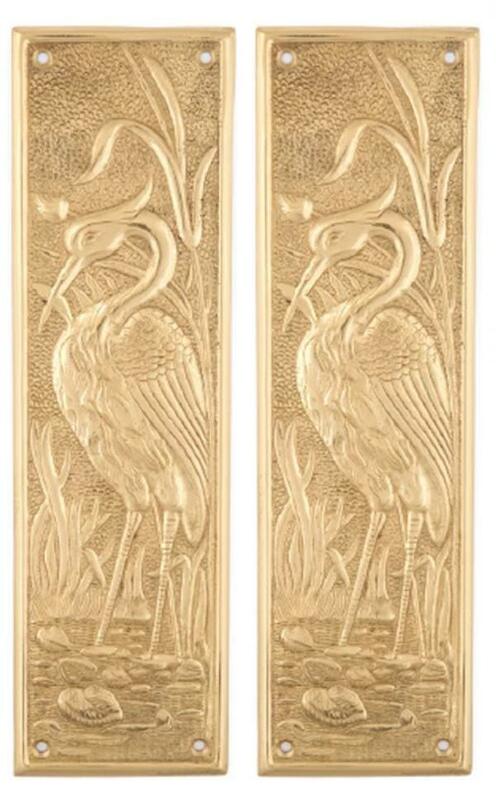 Our heron push plates are made of heavy cast brass. They are reproductions of a 1900 push plate. Available in hand antiqued brass, lacquered brass and unlacquered brass. Sold by the pair.